A GEM of Blues piano, genuine and traditional. Miss Lee’s first solo album recorded in Chicago with her Grammy winning buddies. Stunning piano, powerful voice and interplay bursting with evergreen blues spirit. MUST for all Chicago blues lovers. Lady Blues Piano, Miss Lee has been enchanting the blues fan in her native Japan and the U.S. for 10 years. She visits Chicago every year for the blues fest, where she met the Grammy-winning drummer Kenny “Beedy Eye” Smith, who invited her on the sight to play with his band Cash Box Kings. The encounter lead to another and after a while, she found herself in the rich circle of gifted musicians who carries on the true spirit of the Chicago blues. 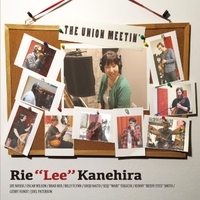 In March 2014, Miss Lee recorded her first leader album in Chicago to showcase her friends’ great talent, along with her own. This album not only uncovers Miss Lee, the rising star of the blues piano, but also the new era of the Chicago blues: timeless, universal and profoundly respected by music fans of all generations and ethnic backgrounds. Her music is enough to prove it true.